Today, the NFL unveiled details of the NFL Experience Times Square, an interactive, 40,000 square foot exhibit that will combine augmented reality, 4D cinema, and more to simulate the full player experience. Fans can expect to encounter everything from training and pregame preparation, to in-game action, and winning celebrations. To simulate the experience of being an NFL player, exhibits will use augmented reality through visual effects and Kinect technology to see themselves in full football gear and the uniform of their favorite team. 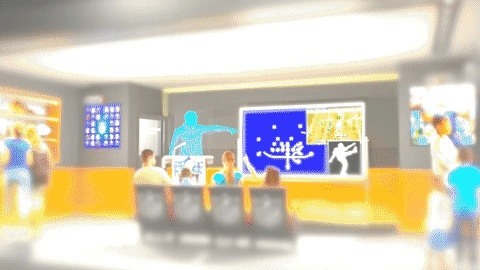 The attraction will also feature holographic representations of players and coaches with whom fans can interact with. In addition, the attraction will house an immersive theater, with panoramic screens, motion seats, and temperature-controlled elements so that fans can truly experience a movie produced by NFL Films. The experience then culminates in a Super Bowl celebration, where cameras capture fans' celebration dances and media interviews, which are broadcast in Times Square. NFL Experience Times Square is the next level of entertainment for new and life-long football fans alike. This must-see attraction will allow residents and tourists to experience the game like never before. 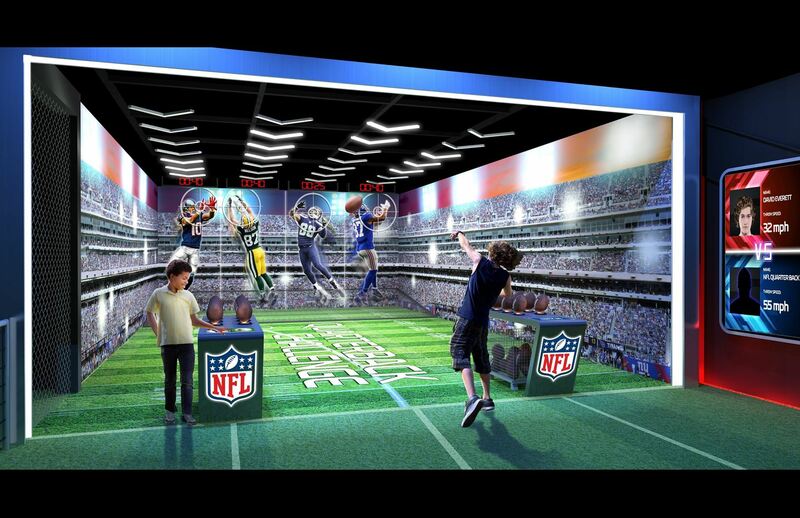 Not everything at the NFL Experience Times Square will rely on augmented reality, though. A gallery with touchscreens will enable fans to browse through informational content about their favorite teams. A series of interactive challenges will measure fans' physical prowess in leaping and blocking and put them in the game with a passing simulation. "We are happy to facilitate an experience that brings NFL players closer to football fans from around the world," said NFL Players, Inc. President Ahmad Nassar last year. "This will be a unique and innovative showcase of professional football and an example of how our business can be a unifying force." The NFL partnered with Cirque du Soliel to produce the experience content. Known more for their live performances, the venture is Cirque du Soleil's first extension of their creative content capabilities into sports entertainment. "Our new venture with the NFL signifies the next phase of Cirque du Soleil, and we see tremendous opportunity in working creatively with the League as well as other world-class brands throughout the world. No other brand in professional sports is as strong and popular as the NFL and we are thrilled to have the opportunity to showcase the NFL from a whole new perspective," said Daniel Lamarre, President, and CEO, Cirque du Soleil, in a news release announcing the partnership last year. Tickets to the exhibit are available now and start at $39. Would you pay to see these augmented and mixed reality exhibits? Would you pay to see exhibits for other brands? Tell us in the comments section below.